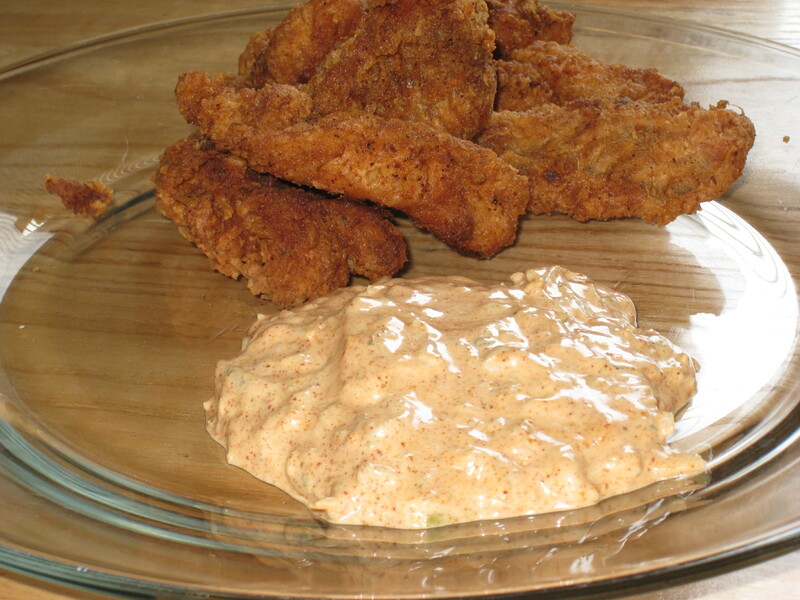 Accompanying my Cajun battered and fried Lake Michigan Whitefish today was a mound of slightly spicy and extremely tasty, freshly made Cajun Tartar Sauce and it was easy, almost too easy to make. Now for the “tough” part putting it together. Put all ingredients in a bowl and stir until thoroughly mixed, sever fresh or refrigerate until ready to use. And that’s it, dress up fish with a slight spicy and very tasty rendition of plain old tartar sauce. It would go very nicely on a fish sandwich, in fact, I will be making on of those as soon as I make it to the store to pick up some pepperjack cheese to top it with.